Did you know that spending too much on your wedding is what newly-weds usually regret the most? And no doubt, after months of spending and stressing about items (that afterward seem minor) it is over in a flash. What is remembered about your wedding is not the decor, the price tag of your dress or the shape or color of the cutlery. It will not even be the state of your skin – sorry! What makes a wedding great is something you can’t buy for money: it is the setting, the atmosphere and the excitement round the wedding couple; in other words the wedding at large. Carry on reading to discover that you can leave out way more than you initially thought – but still win big on style. In fact, your wedding will be the most memorable if you don’t try so hard to do what has been done over and over again, but create your own personal spin on elegance. Instead of trying to do a classy-looking wedding on the cheap, skip all the not-so-essentials and focus your budget around the elements that will make a high impact. This way your guests wont need to endure sub-standard shrimp canapés or come home with a mass produced favour which will go into a dark drawer for the next decade, but rather remember your wedding for it’s ingenuity and awesome atmosphere. And remember: less details, less to buy/ make/ store/ transport/ install/ take down/ dispose of = a lot less to worry about! We encourage you to rather get a beautiful experience with a balanced level of details and still manage to bring on a luxurious feel. This you’ll achieve if you spend your money in the right places – and leave out the excess that wedding traditions or Pinterest might have led us to believe we “need” to have a sufficiently good-looking wedding. What we mean with elegant is not the opulent and shiny details, but having a well executed, well composed and personalized look. Bold extravaganza and splendor doesn’t mean more impressive or attractive. Nor are you confined to the shabby-chic lumberjack look just because you are budget-orientated, neither. If you take our advise, you’ll have a simply elegant, genuinely beautiful and meaningful wedding day, without wasting money on excessive things that you realize were pointless afterwards. Here are our tips on how to scale back on the dubious details -that noone cares about (and you won’t get time to enjoy)- and amplify the raw beauty of your wedding day! The trick to saving on wedding details is to make use of a venue which is already impressive in some way or just naturally beautiful – and keep the smaller details in the periphery to a minimum. Let the high impact elements stand out as opposed to the smaller ones. It is the vibe that will be the most enjoyable part and keep the guests talking about your wedding after. 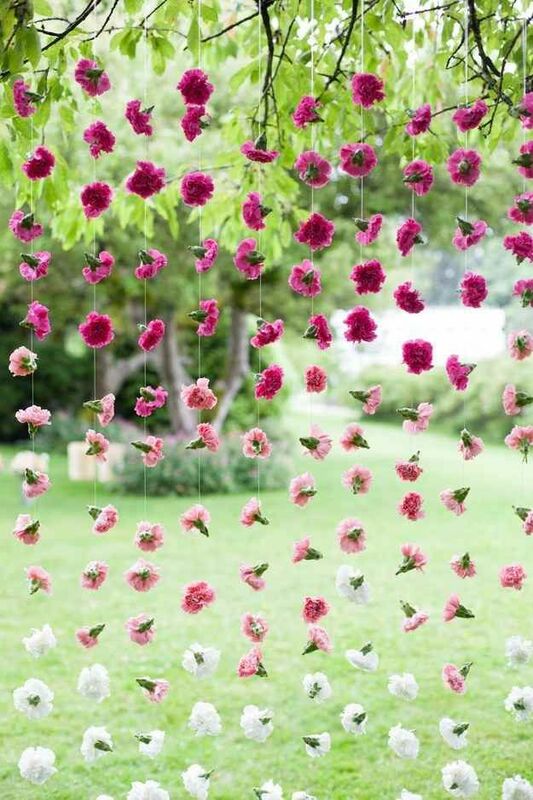 Not whether you chose roses or dahlias or spent months knitting macramé key rings for 150 guests (Yes they might talk about that, thinking that you are crazy). – 1 or two -max 3-mind blowing decor details such as a handmade backdrop or sweetheart table (as this is where the eyes will land again and again and be visible in all photos. – Signs, no matter how cute or rhyming they might be. -Matchy-matchy everything including flower arrangements, bridesmaids and stationery. -Your wedding party. They are background people and don’t need designer socks or matching nail varnish. – Your guests. They don’t need a welcome bag, sunglasses, flip flops, blankets, mozzie spray and a succulent. Give them a welcome drink and a hug and personal greeting – that will be appreciated the most! You are feeding them, providing the party and have invited them to share the most special moment in your life. If they are still ungrateful after that, they don’t need to be your friends. If you plan for a daytime wedding or weekday wedding, you will save a lot of money on the venue fee which means you can still have venue, the dress and the wedding look of your dreams. Likewise, an off season (any month except for summer, basically) will cost you up to 60% less to organize as your venue and every other vendor (including photographer) will have drastically reduced rates. Aside from catering and venue rental, the bar is a huge cost for your reception. You don’t want to resort to a cash bar ideally – it is a party killer. (In your elegant budget wedding you don’t want to to SEEM like you are trying to cheap skate). Instead of stocking a wide range of spirits and fine wines, prepare batches of His and Hers signature cocktails, (which can be made with more flavor and less spirit) and serve beer and wine at the tables. For toasting, your guests will be just as happy with sparkling wine as opposed to imported champagne. If you choose a morning or daytime wedding, on a Sunday for example, the alcohol question will naturally be much less bothersome in the budget. A wedding venue with wooden tables will not need to be covered by linen, this is much more beautiful than it sounds like – and also widely accepted thanks to the popularity of the rustic look. Avoid having to use draping on the walls if you can. If you are having a spring or summer wedding, find leafy branches and attach to the walls instead or leave as is for a industrial/ minimal vibe. A good place to hang some draping is however on your ceremony arch to give it impact – less flowers would be required if decorated it this way. Don’t think everything has to match in style and color. Combine minimalism with Moroccan, or Rustic with Black tie. This opens opportunities to borrowing, foraging, thriftiness and making do with what you already got, and will be tonnes more fun. Don’t follow trends but rather stay timeless. Not only will your wedding photos age better, you will not have to pay a premium for trendy items, whereas the classic stuff is readily available anywhere at any time of the year, not only for weddings but decor in general. One budget trick would be to get last seasons trend on special offer, but our advise is to leave that thought as trends come and go quickly – and this one already went! Classic will always go down well – combine it with Minimal, Moody, Industrial, or Edgy looks for a modern twist. Ultimately, not implementing a theme will be the least costly, as you don’t have to worry so much about co-ordination. Just call it “Nature-inspired Minimalism” or “Deconstructed Rustic”. Themes that are forgiving on a budget are Minimalist and Rustic, with Industrial and Vintage also with great potential. The more paraphernalia you need to make the wedding look like something specific, the most stuff you’ll need to set up to create the look = money to be spent. Therefore a rustic minimal atmosphere will be the easiest to achieve, generally – and you will definitely be able to have elegance within this. Setting up a wedding in a barn or a forest might seem like a wonderful idea, but if you are on a budget just bear in mind that every single chair, fork and toilet will have to be hired in and managed. Choosing a venue which is already set up to be a venue, will save you bucks in the end. When it comes to your decor, for true elegance, keeping it simple, understated and raw is the ultimate secret. Finding the right balance can seem tricky, but it is actually easy if you prioritize 3 areas where you include decor, and choose high impact-low cost items. Lanterns, simple glass holders for candles and minimalist vases can all easily find a new purpose afterwards, keeping some for your home, or why not selling the rest to a new Bride – or giving back to charity as a conscious move. Don’t think Cheap – think Spending Wisely. Don’t get those gold balloons because the were on special in the shop and they “could work”. Don’t get those impulse balloons at all- or anything that you didn’t plan to have in the first place. If you have to spend money to save money, you are ultimately not saving. And if your wedding is full of discount buys with no finesse or thought behind it, it will look anything BUT elegant. Less is more – simplicity strikes as elegance and it is most likely your creativity with materials and cleverness with compositionthat will make your guests jaws drop – not the overdraft on your credit card. Just walk away from temptation and stick to your concise wedding shopping list. Write it early, and be strict. You won’t have a luxurious feel on the wedding if those “elegant” details such as glitter menus, sequin table runners and plastic orchids were chucked in there because they were cheap in the pound shop. With too many “fancy” extras, your wedding will risk being tacky looking, and you would have wasted your money and effort in your quest for elegance. Aim for a personal look that can’t be found in commercial outlets, that you have chosen carefully because you genuinely love them. Making everything yourself might seem at first like a budget friendly option, but this is not always the case. If you insist on crafting, choose your projects wisely and limit yourself to 3 projects, and ideally your materials are free. 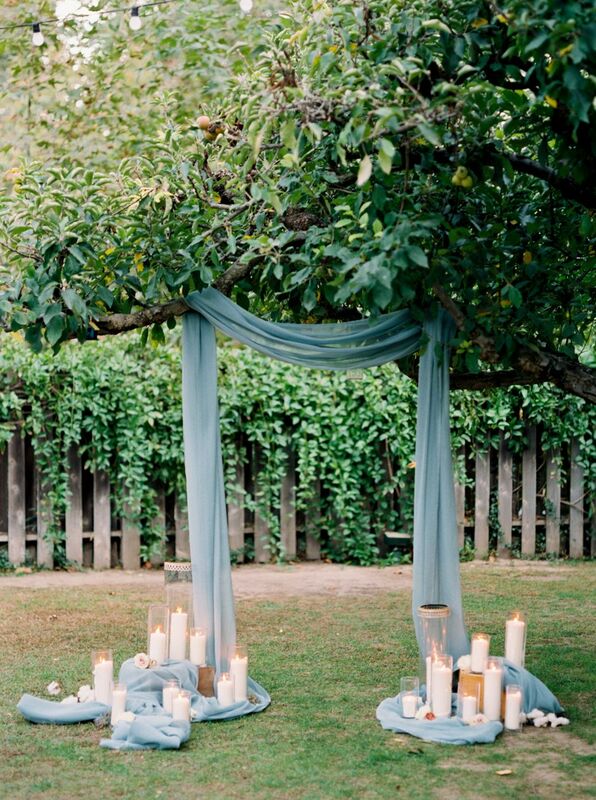 Rustic or vintage wedding decor is usually easy to forage or find at low cost. Think branches, glass bottles, used light bulbs. Invest in a few bottles of your metallic color of choice and go wild on glass bottles, vintage frames, branches and rocks. Black or white can also look stunning used on candlesticks and table number displays. Although DIY decor an be fun and rewarding, it can also end up being costly and sometimes the end result is disappointing if didn’t quite work out as beautiful in that pin you saved. Key words are Cheap, Quick and Easy – and you need to be fairly sure that the outcome will look good before you spend money on materials. In the end of the day, your guests are there to celebrate your marriage, and not to look at your exhibition of craft projects. Try to avoid having to hire unnecessary decor: hiring is a sure way to burn a hole in the pocket. Borrowing, or buying to re-sell makes more economic sense, and keeping it simple which ever route you go. Lounge seating for your guests can be made with pallets + cushions, tree stumps or perhaps borrow a few vintage couches and coffee tables from friends. As much as possible, say no to decor items that will be rented or only used once. Your simple but classy flower arrangements, candles and tableware will give the wedding tables the elegance in needs. No one likes to dine in an overly busy and crowded table. Look around in your own house, or borrow pieces from family or friends. Charity shopping is a great place to find inexpensive glass vases, votifs and candlesticks. If you are planning to buy decor, try to buy stuff that is easy to sell again after, or things that you could actually keep. In the forest you’ll find interesting looking pieces of wood that you can cover with moss. In your vegetable market, you’ll find beautiful pomegranates, artichokes, pears or pumpkins that can be eaten afterwards. Tableware: think twice before renting the “essential” rose gold cutlery. Same goes for colored glassware and other fanciness. If you MUST have them- use it for the head table only. Definitely leave out: table runners, charger plates and luxury color matched napkins. A white synthetic cotton blend napkin will do just fine! A more minimal approach will be appreciated as too much clutter makes the eating experience overcrowded. Skip the chair covers for guests, and decorate your own chair how you want- with ribbon, tulle or a flower and greenery garland for example. A fool-proof way to reduce expenses in the reception part of the day is to skip the formal 3 course dinner altogether and choose a buffet, or even eat-on-the-go for a day time do. If you want the sit down experience, family serving style is a good compromise as guests help themselves at the tables, so that minimal serving staff is required, and plates won’t need to be prepared individually. I wouldn’t advise you to skip the cake, as it is a memorable and anticipated part of the day. But there are ways to make it cost you less, without missing out on tradition or elegance. Tip 1. Order a simple white cake with as little adornments as your can bear. A white cake is timeless and elegant, and with some flowers or green leaves you can customize it yourselves. Tip 2. A trick is to order a small cake for cutting only, and in the kitchen the staff will dish up a same-flavor cake that was bulk baked and only filled as opposed to frosted. The slice of cake doesn’t need to be large if you have a dessert table as well. Tip 3. A note on dessert table: ask all the baking enthusiasts in your families to bake a treat and bring as potluck. Tip 4. Unless a family member own a candy factory and will supply, just leave the candy bar out of the picture. Not only is candy hideously expensive, no one actually really likes it either. Rather offer some fruit and cheese. This is a great DIY project if you get a helping hand and arrange transportation from the bulk flower trader in your town. But don’t buy more than you need (and that isn’t as much as you think). It is awful to see great flowers having to be chucked away afterward. The solution? Think seasonable flowers with bright colors that pop + ample of foraged foliage, grasses and other plants such as living aloes, ferns and houseplants that you can buy from a garden center and reuse afterwards. Centerpieces are rarely looked at anyway – decorating with single flowers in vases, green garlands and votifs is more than enough. Instead of renting vases, see if there are cheap vases in your nearby thrift stores, or use large drinking glasses, food jars or even tins. If you don’t love the recycled mismatched look, surround the vases with greenery or spray them in your favorite metallic color. Try to make use of what is seasonally available in your area. Cotton, cherry blossoms, flowers in your Granma’s garden, your own succulent collection, grasses or sunflowers that grow in a field nearby… being thrifty doesn’t mean you’ll have a wedding that looks it. If you are planning to forage, remember to ask the landowner beforehand! The undoubtedly most efficient way to reduce the wedding cost is to invite less guests. Bear in mind that a guest at an average wedding guest might cost $1000 dollars to seat, feed and provide space for. If you want an elegant feel to your wedding without overspending, think in terms of a smaller, intimate wedding. Find a smaller venue and reduce the size of the venue and dance floor and it won’t feel empty. You’ll get to chat to each guest for more than just a quick hug, and more money left for your honeymoon or other priorities. Inviting all Facebook friends, work colleagues and exes and their stepmum + every member of your extended families to your wedding is not necessary. In fact, it would be silly. Favours: it is more than ok to leave them out, especially the s.k ceremony favours. If you feel obliged, create a food gift as these are usually the cheapest and easiest to produce (bag of homemade caramel popcorn for the road, anyone?) and also proven to be the most appreciated! You don’t need to buy an expensive gift for every member of your wedding party and family. Write them a letter instead to express your love and gratitude. BTW, they got to be involved at your wedding – a pretty nice gift hey!